Hello tomato ... it's been a long winter waiting for you! Nothing says summer to me more than a garden tomato! And the best way to eat them? 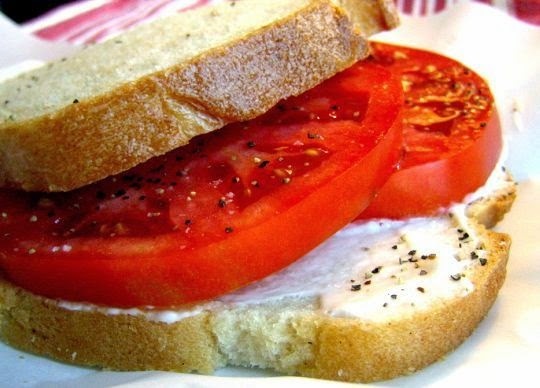 If you have never had a tomato sandwich make one today! Spread mayo on toasted bread.